Perhaps the true measure of success for a volunteer initiative takes place in its second year. That’s when it’s possible to gauge how much the program has progressed, and perhaps determine how well it will do in the future. In 2013, a contingent of volunteers from the BOMA/Chicago community will mark the second year we’re participating in National Rebuilding Day; a national effort in which volunteers help the elderly and others in need with home improvement and repair projects. 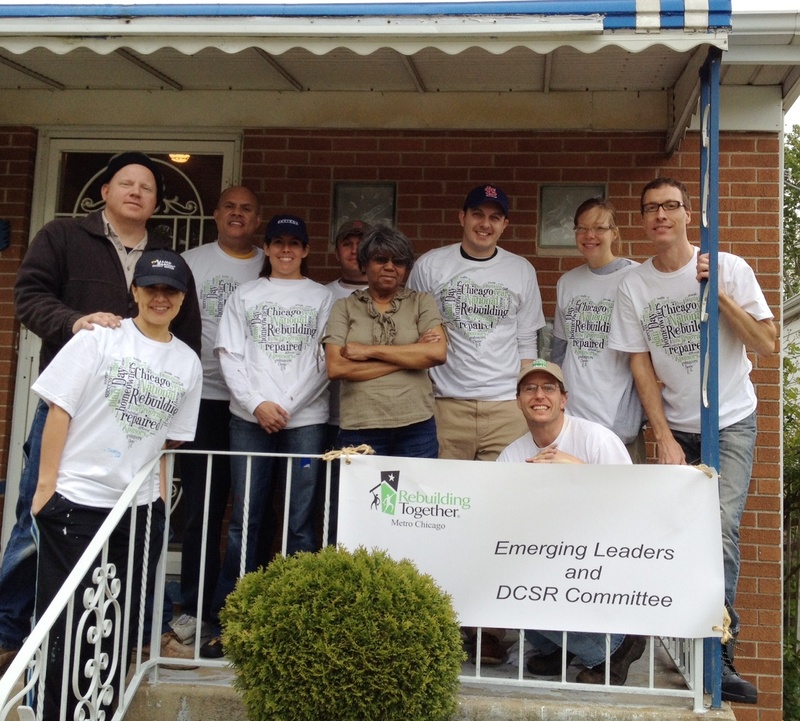 As reported in a blog post from April of 2012, eight BOMA/Chicago volunteers tackled clean up and repair tasks at the homes of two women from Chicago’s Englewood neighborhood. Encourage more BOMA/Chicago members to participate. Build awareness within the large and active Chicago real estate community for National Rebuilding Day. Demonstrate to importance/value of volunteering to Chicago real estate professionals: Helping those in need and building a personal network. I’ll once again serve as the house captain, and I look forward to working with my BOMA/Chicago colleagues from the Corporate & Social Responsibility Committee and Emerging Leaders Subcommittee. As property management professionals, we bring some great skills to the National Rebuilding Day initiative as we’re used to working with budgets, tenants, renovations and assigning tasks. For each home, we’ll have to formulate a game plan, which involves taking room measurements to determine the amount of paint needed, preparing a list of construction materials and assigning tasks to each team member. We’ve already selected a home owned by a 78-year-old widow that will require exterior and interior work. To get the job done, we’re hoping to secure 10 to 15 volunteers. 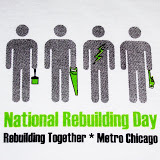 Last year, BOMA/Chicago members participated in National Rebuilding Day. Last year, National Rebuilding Day was a unique opportunity for me. Traditionally I supervise five house captains, but last year I had the chance to be both a house captain and pitch in as a worker. In this role, I was more involved with the home owners and learned their personal stories so we could better serve them. For example, we installed a hand rail in one home last year to help prevent the owner from falling when she climbs the stairs. In speaking with some of last year’s volunteers, I found out they gained an appreciation for the resources and effort required to provide even basic repairs to a home. And more importantly, they also received the satisfaction from working as a team to help fellow Chicagoans in need. If you’re interested in participating with fellow BOMA/Chicago colleagues April 28, please contact me at jefftigchelaar57@yahoo.com. And, if you’ve participated in National Rebuilding Day, please share your thoughts on your experience. This entry was posted in Chicago CRE industry and philanthropy, Philanthropic Outreach and tagged a blog from April of 2012, active Chicago real estate community, BOMA/Chicago colleagues, BOMA/Chicago community, BOMA/Chicago members, BOMA/Chicago volunteers tackled clean up and repair tasks, Chicago real estate professionals, Chicago’s Englewood neighborhood, Corporate & Social Responsibility Committee and Emerging Leaders Subcommittee, Jeff Tigchelaar RPA Senior Real Estate Manager, National Rebuilding Day, National Rebuilding Day will be held April 28. Bookmark the permalink.